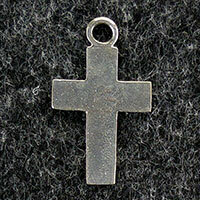 Designed and manufactured in our own workshop from lead free jewellery quality pewter. We design all our own pewter pendants, buttons and beads. We also manufacture a large range of other jewellery items in acrylic, clay, wood and metal. If you can't find what you want on our site please contact us to discuss you requirements.